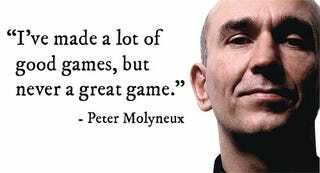 Peter Molyneux, boss of Lionhead Studios, indulges in a little public humility. He's being a little hard on himself. Magic Carpet was pretty damn great.